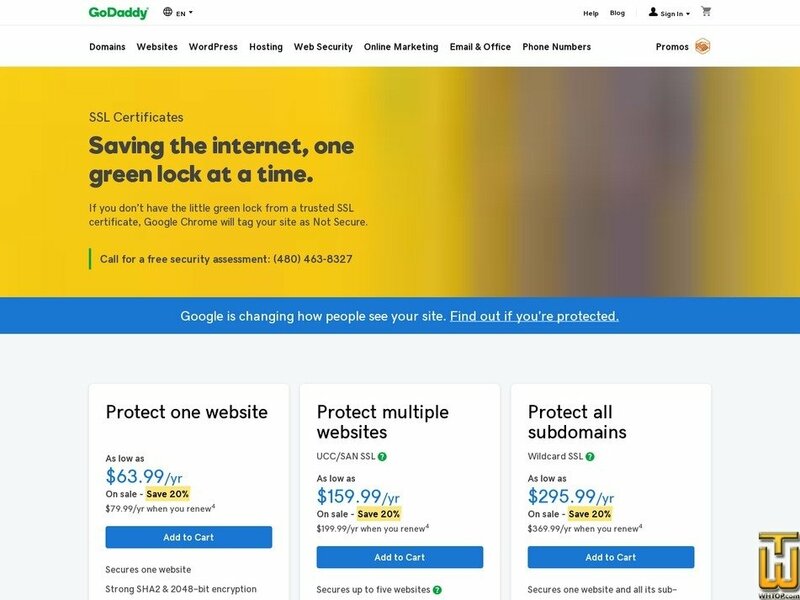 Protect all subdomains > godaddy.com, #37687, USD 295.99/yr. Price:$ 295.99/yr. ($ 369.99 after first term) VAT exc. See also original Protect all subdomains plan location on their website! Buy/Renew Thawte SSL123 Wildcard SSL Certificate, to secure your website and its unlimited number of sub-domains on multiple servers at a discounted price of $261/year. Unlike other SSL Certificate providers, eBoundHost SSL certificates do not require installation. We handle the integration of your SSL certificate with your website. Buy Thawte SSL123 Wildcard SSL Certificate and Protect all your multi-level subdomains on multiple servers.